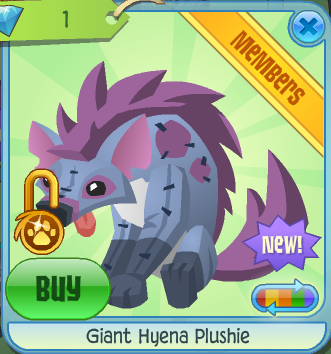 Today we have the new hyena plushie sold in epic wonders for 1 diamond! 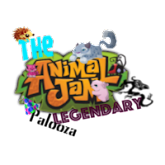 I wonder if they will release the new plushies into jamaa that you could see in ajhq's den that had the llama, otter, hyena and i don't know the other one. 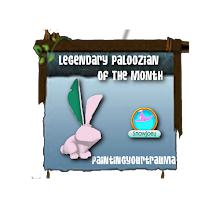 Today's topic is about plushies! Now everyone knows what a plushie is. Well they should. 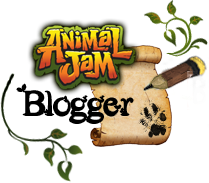 AJHQ makes a plushie for every animal in jamaa. Around a year ago or so they started making claws for each plushie. 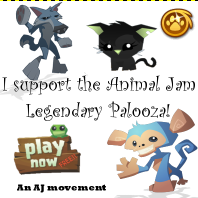 You can get them from the claw or trade for them! There is this glitch where you go to claw and click it. 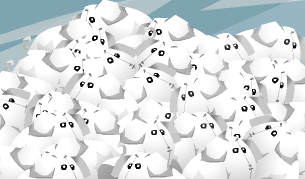 When you click play all you see is white elephants. Ah. I think i'm gonna hang out on yours and Nafaria's blogs these next few days. 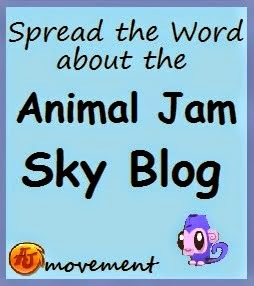 At least no rude cyberbully ( Aj-Offers), is on these blogs! 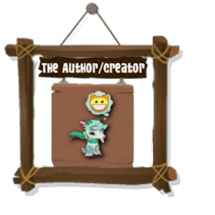 He is called people rude things on the Animal Jam Community. And how do you get the poll and cool font?